Pamela Druckerman is an American journalist married to an Englishman. They are living in Paris, both writing books, when they have their first child. This is the mother’s story of what she learns from French families, where she finds the children sleep all night, eat regular healthy meals and the parents remain relaxed. Druckerman has a funny, honest way of describing all this, which makes for a very amusing book, made funnier when her twin boys arrive. She watches the French mothers set out a “cadre”, or framework, within which the children must be obedient to certain rules, but after that are free to play as they like, making up their own games without supervision. At meal times great attention is given to regular four meals a day, with the grown-ups, and including a four-o’clock afternoon snack. Apart from that there is no snacking during the day, unlike American families. The result, Druckerman notes, is no obese children in France, unlike her own country. This also meant much more fresh vegetables and fruit and less pasta and hotdogs. At the “creche”, which is state-funded, the children had the same system of basic obedience but also much free time to explore on their own. When the children did join their parents, they did not grab all the attention but allowed parents and their friends to continue their conversations uninterrupted. Druckerman shares her efforts at learning to say “non”, and the book gives a fascinating picture of the two cultures, French and American. 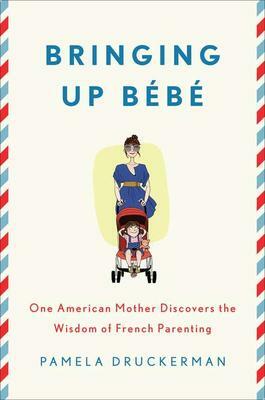 It may be a bit repetitive – but what book on Bringing up Bebe could not be? Join us at the bookstore on Saturday afternoon for a book signing with Mony Dojeiji and Alberto Agraso. 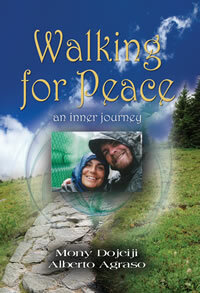 They will be here on Saturday, April 28 from 1:00pm to 3:00pm signing their book Walking for Inner Peace: An Inner Journey. “The course of one’s life never unfolds quite as we imagine it would. While traveling to gain perspective on her life, Mony, a Lebanese-Canadian woman, feels called to walk an ancient path known as the Way of the Soul. She wavers, allowing her fears to drown out her heart’s yearning. Until 9/11. Fate orchestrates all the necessary preparations, including an unexpected companion named Alberto, an Andalusian mystic whose ideas would challenge every preconceived notion Mony holds about peace, life and love. Their 13-month, 5000-kilometer odyssey across 13 countries would lead them physically to Jerusalem, but more importantly, to what was perhaps the intended destination all along: their true selves. We hope to see you all here on Saturday afternoon to meet these wonderful authors. See you then! On Saturday April 21, from 12:00 to 2:00pm, local author Maurice Hladik will be in the bookstore signing copies of his new book Demystifying Food from Farm to Fork. Maurice grew up on a farm in western Canada and was an active farmer into his early adulthood. He earned two degrees in agricultural economics from Canadian and US universities and became an agricultural attache in New Zealand and Germany. 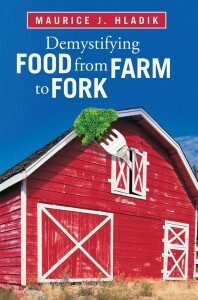 “In North America and elsewhere, there is a growing concern by many that they are no longer connected in any meaningful way with the production or processing of the food they consume. Furthermore, many sources portray a negative bias regarding the production, transport, processing, and marketing of today’s food. We hope to see you all here on Saturday between noon and 2:00pm! 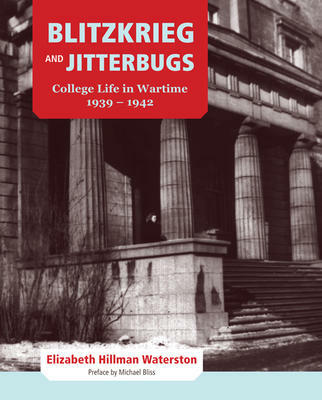 There will be two great book signings on Saturday, April 7 at Books on Beechwood. Between 12:00pm and 1:00pm, come by the store to meet author Beverley Blanchard who will be signing copies of her book Into the Waves. Later in the afternoon, Thomas Waite will be in signing copies of his new novel, Terminal Value. It is an “intense thriller that provides an insider’s look into the excitement of a technology start-up, the anticipated riches of an initial public offering, the gut-wrenching murder of a friend, and the dark side of corporate America.” Thomas Waite will be signing copies of his book from 1:30pm to 3:30pm. We hope to see you all here at the store! Have a wonderful Easter weekend!